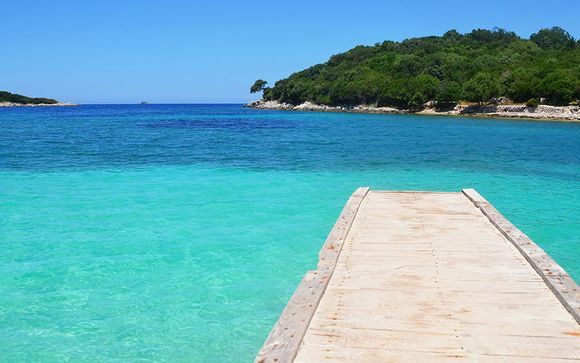 Holidays to Albania up to -70% off To take advantage of these offers, join now for free! Albania is home to both a stunning coastline and a range of majestic mountains. Get great deals on holidays to Albania for an unforgettable experience full of history, beauty and always a warm welcome. Largely untouched by Western tourism for the whole of the 20th century, Albania, located in the Balkans on the Adriatic Sea, is a seriously hidden gem. Those in the know have been visiting for years, attracted by its UNESCO world heritage sites and natural wonders. With its own mountain range, many traditional villages, a growing number of beach resorts and a small but charming capital, there’s plenty going in this European jewel of a nation. Despite being a tourist newcomer, the country has a growing number of five-star hotels and boutique resorts. From the capital Tirana to the Albanian Riviera, we’ve hand-picked the very best of these hotels in Albania and furthermore, our signed-up members get exclusive deals of up to 70% on Albania holidays. The country’s capital is home to a third of its population and is the best place to head to for a history lesson, or to experience local culture and entertainment. Once a drab grey city, the communist-era buildings have now been brightly painted whilst the welcome from locals is always incredible. Café culture abounds in Tirana, although the local plum brandy is also worth a try. Head to Skanderbeg Square, a green space celebrating a national hero and also home to the beautiful Et'hem Bey Mosque, and the excellent National History Museum. Albania has two major natural wonders going for it. Firstly, the Albanian Alps which straddle the country’s middle and are fast becoming a hot spot for skiing in winter and hiking in summer. The place to head to is arguably Volbana, a national park which is home to some of the most isolated villages in Europe. The best way to reach the area is via a Lake Ferry which allows visitors to take in some truly incredible sites. The coastline, the country’s second greatest wonder, stretches from Montenegro in the north, to Greece in the south, incorporating both the Adriatic and Ionian Seas. The upscale Albanian Riviera is located close to Greece on the Ionian Coast. Home to numerous luxury hotels, the best of which we offer exclusive deals for, this is where you’ll bathe in glorious turquoise waters and sunbathe on golden sandy beaches. Even in the busiest areas, you’ll be able to find secluded bays and hidden coves. For nightlife head to the unofficial capital Saranda.